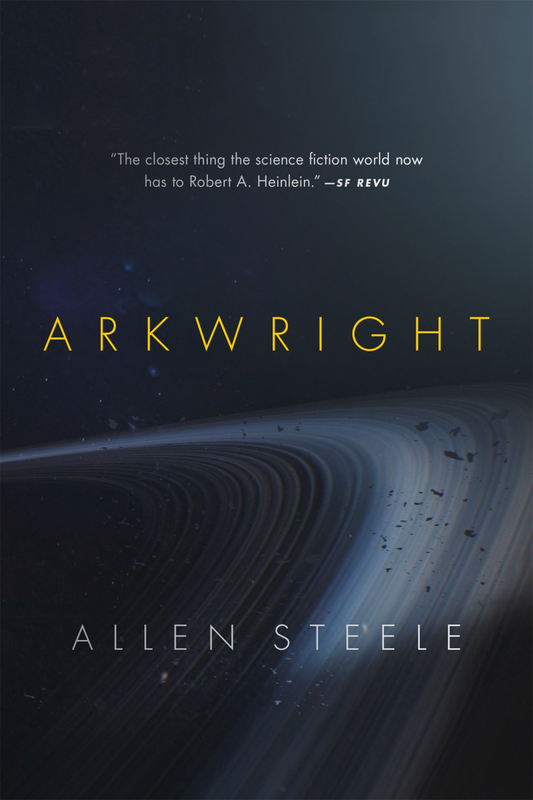 If you are interested in the concept of space migration, as popularized by Timothy Leary and Robert Anton Wilson (among many others, of course), you could do worse than to read Arkwright, the latest novel by science fiction writer Allen Steele. Steele's novel contains descriptions of real people and real events, such as the 1939 and 1989 worldcons, but his title character is fictional, as are the other main characters. Nathan Arkwright is one of the "Big Four" science fiction writers (in "real life," the big three were Asimov, Clarke and Heinlein, all mentioned in the book, which is reminiscent of Clarke), and he leaves his estate to a foundation charged with building and launching an interstellar spaceship. I've read other Steele but I like this one better than anything else I've come across by him. Inspirational and carefully plotted, with memorable characters. The title character's name may be a reference to Richard Arkwright, the "father of the Industrial Revolution." Synchronicity watch: In the acknowledgements, Steele mentions the assistance of Geoffrey Landis, a science fiction writer and NASA scientist who lives in Berea, Ohio, where I live, and also thanks his editor, the late David Hartwell, who also was one of Robert Anton Wilson's editors (see my interview with Hartwell, and then Part Two.) So in effect, the book serves not just as a memorial to the great science fiction writers who helped inspire interest in SF, such as the Big Three, but also to Hartwell, too, although Steele could not have predicted this when he wrote the book. The 1989 Worldcon is the one where I met Robert Shea, although unfortunately Steele does not mention the Golden APA room party.